Blue Sky Disney: How Long Before More Shorts? By now, everyone knows that the new Goofy short will premiere before "National Treasure: Book of Secrets" next month, but the real question is what is next? And when? Well, from what my sources tell me, there are at least five shorts in active development. Three of which are well into production. The next one we will see after Goofy, may not be until next summer, but right now it looks as though the debut of "Bolt" a year from now will yield the next one. There has been talk of having a summer release of the next one, but as of right now there is no definite decision as to place one before next summers offerings. So what will come in front of "Bolt"? Yup. Chris Williams got the job taking over the directing chores on "American Dog", now known as "Bolt" when John Lasseter saw the story reels for his new short, "Glago's Guest". So he not only has the pressure of being the first film released under The Mousetro's reign, but he also has a short that he directed attached to the front of his directorial debut. Not much pressure, eh? From what I'm told "Glago's Guest" will be a very beautiful, artsy tale about a Russian guard out in the in the middle of nowhere that is visited by an extraterrestrial. It was good enough for Lasseter to trust him with a major animated feature. And before you ask... yes, it is CG. Well, as well as the short from Goofy's "How To", "Glago's Guest", we have "The Ballad of Nessie" and "Prep And Landing". There are another couple that are in preliminary stages. Yes, Disney's classic characters will be in some of these... in fact one short that is being planned will be directed by Disney Legend Eric Goldberg involving the classic trio themselves. There is a chance that the "Nessie" one could be ready by fall next year, but I don't think we'll see it before "Glago"... just my own intuition, schedules could change. The "Nessie" short(about the Loch Ness Monster, of course) should be interesting, it's being done by the directors of the Goofy short, it's hand drawn like the "Goofy" short and is very much in the style of Mary Blair's drawings. The story of "Prep" is about some very inept elves that prepare Santa's sleigh for Christmas Eve to disastrous results... do you think Disney will plan on releasing this one during a certain holiday season? There are many, many shorts being prepared for pitches, not all will make it into production, of course. The goal will be to have at least two a year by the end of next year... if things go well, they may try for three a year, but we'll have to see how they go and play for the audience. by the way: choirs=chores, you can't rely on spell check. I am very excited about this shorts. I have to say, it's about time. They need a way to keep the classic Disney characters in the minds of kids. Kids today know Sponge Bob among others better than Mickey Mouse. Putting the characters out there in these shorts is the best way to get Mickey out of the Kingdom and onto the movie screen again. Bring on the Donald Duck cartoons! I can't wait for a whole new series of them. Nessie requires a lot of the same 2D talent that the Princess and the Frog needs, so I don't know if you'll see it before Frog comes out. They may be able to squeeze it in before Frog really starts to ramp up. Prep and Landing is also directed by Chris Williams so you definitely won't see it before Bolt is finished. You most likely won't see it until Christmas 2009. 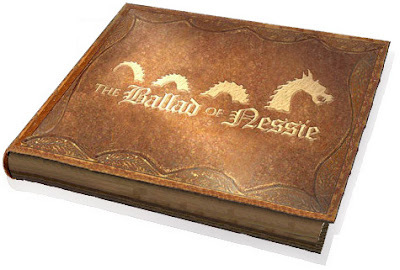 Nessie is already about half way through right now, so I wouldn't think it would be too far off. Would it?